Believe it or not, a great web hosting service can make all the difference when it comes to ensuring great sales and high traffic retention for your brand and building a positive reputation for your business in the market. But the advantages don’t just stop there! 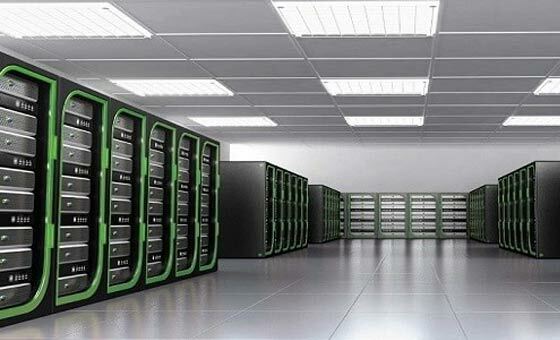 Reputable hosting service providers now offer custom hosting plans for businesses that combine the benefits of high performance and optimum availability with additional features like data backup and recovery, data protection and unlimited bandwidth and storage that can take the entire web surfing experience, both for you and your customer, to the next level. However, the key point remains that in order to enjoy quality ROI and positive results on a long term basis, you need to choose an equally amazing web hosting service that delivers the outcome you expect. Whether you are a start-up looking for basic features or a large scale enterprise searching for the complete cloud hosting experience – quality web hosting is the answer if you need long term credibility and instant growth for your brand in the marketplace even with the fierce competition out there. This is the ultimate game changer as far as retaining customers or maintaining a consistent brand image is concerned. The threats of hacking and malicious activity are always out there – what you need is a strong security mechanism in place that can protect your information at all times, backup all important data at regular intervals and restore lost data with a click whenever you want. This calls for premium customer support on your hosting providers’ part, and if they aren’t always available to address your concerns and answer your queries, this is definitely a red flag that indicates you need to reconsider your current hosting capabilities. Customers hate a website that is down when they need it most or that loads at a snail speed even on the fastest of web browsers. A lot of businesses switch to a responsive design to increase speed but actually the uptime of your website needs to be equally consistent to keep up with the traffic flow and retain availability at all times without fail. A great website hosting service can provide you up to 99.9% uptime, which means lesser revenue lost and an instant rise in the rankings because of the convenience and high level performance you are delivering to your customers. A good web hosting plan will not only bring the advantage of high speed, high performance and high security to your fingertips, but also a stream of other features such as multi domain support, greater bandwidth and storage, customised management and one touch support tools. All these translate to a lesser administrative burden on your part with seamless results, and the extra time you save can go in growing your customer base or evolving the scope of your services for boosted productivity and greater profits!